Hero Phone is licensed under a Creative Commons Attribution 3.0 Unported License. Permissions beyond the scope of this license may be available. Posted to Flickr on 09 April 2012. Included in my Portfolio. This superheroic iPhone photo was taken for a recent blog post on jdhancock.com about how a mobile phone and social media helped save a man’s life. This photo was posted to Flickr on 09 April 2012. The last time I checked, it had 45,321 views on Flickr. 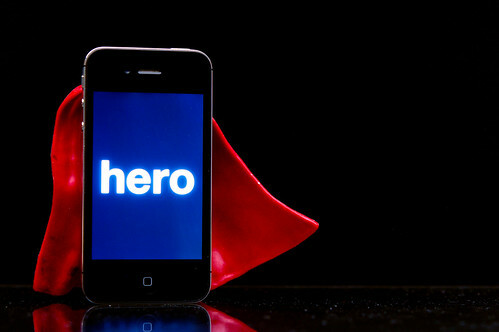 Hero Phone by JD Hancock is licensed under a Creative Commons Attribution 3.0 Unported License. Permissions beyond the scope of this license may be available.